Katie’s love for animals she was very young. She was an active member of her local 4H where she raised chickens in her back yard. 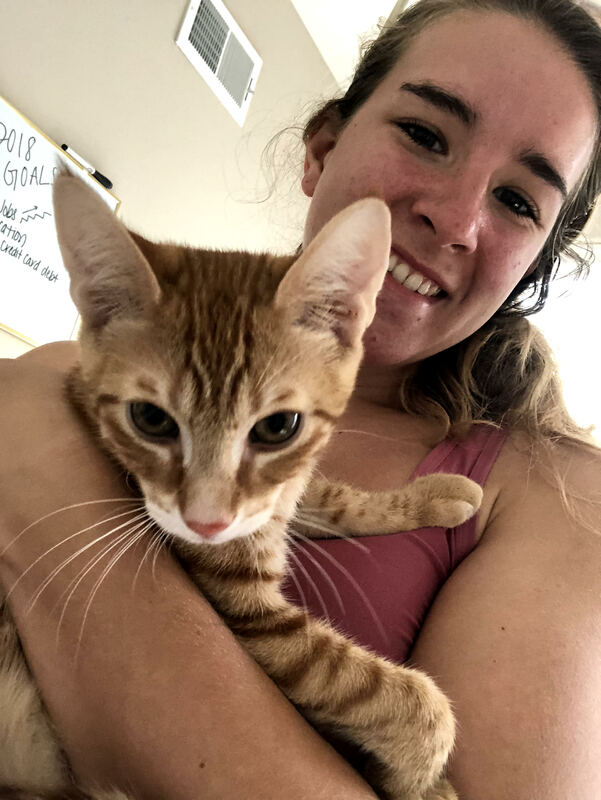 Her passion for helping community cats came when she moved to Philadelphia to attend Temple University and couldn’t help but notice the lack of accountability for the many stray cats in her neighborhood. She soon became an advocate for animal welfare and began fostering, volunteering, and working to TNR her community. She currently owns and operates BarkPark! a pet care facility located in South Philly, where she hosts trapping seminars and teaches her neighbors and anyone willing to learn about Trap-Neuter-Return.